Mirah Belle introduces unadulterated, pure essential oils that improve the health of your skin, hair and body. These 100% Pure Essential Oils offer a variety of benefits from cosmetic, dietary purposes and are known for their healing effects mentally, physically and emotionally. Mirah Belle's Argan Essential Oil has amazing health benefits and carries conditioning and moisturizing properties. It is suitable to be used on skin and hair. Argan Oil for Hair: Argan Oil is used to make the hair softer, silkier and shinier. The oil is considered to be ideal to use as a conditioner and is even used to treat split ends and to tame frizzy hair conditions. Argan oil for the Skin: The Argan oil has many benefits on the skin. It is most commonly used as a moisturizer to hydrate and often the skin. The oil contains Vitamin E and fatty acid content which is excellent for the skin. Explore the entire range of Massage / Carrier Oils available on Nykaa. 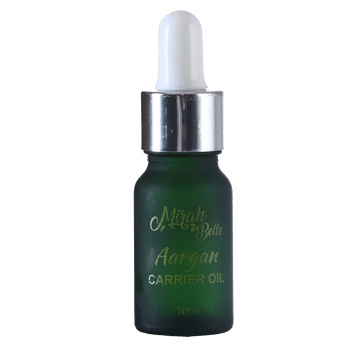 Shop more Mirah Belle products here.You can browse through the complete world of Mirah Belle Massage / Carrier Oils .